Beesley & Fildes carry a range of padstones with others available on request. Our padstone range uses of 50kn/m2 grade of concrete to ensure the perfect product for your needs and all padstones come with a high finish. 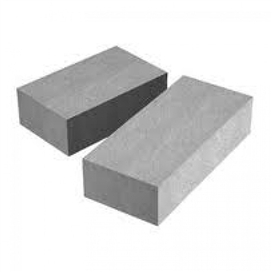 Padstones, are specialised concrete blocks that are placed beneath the ends of a lintel. No matter what kind of opening the lintel is over, whether it’s above a window, a doorway or something else, the weight of the blockwork above the lintel and the weight of the lintel itself is transferred to the blocks either side of the opening. This is true for both concrete and steel lintels. Without padstones, this weight would apply a damaging, crushing force to the blocks directly contacted by the lintel. Padstones however are made of stronger denser stuff than normal blockwork. Padstones are manufactured with 50kn/m2 concrete creating a block that will take a considerable weight from above and effectively distribute it across the blockwork below preventing cracks and structural damage.